This product has been viewed 563 times. 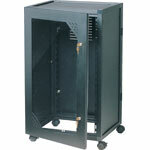 These racking systems have been designed for audio and communication systems. They are durable, strong , good looking, lightweight, easy to assemble and suit the modern day office environment. 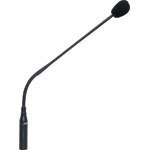 There are two series to choose from, 450mm deep for audio equipment or 600mm extra deep for communication and computer equipment. 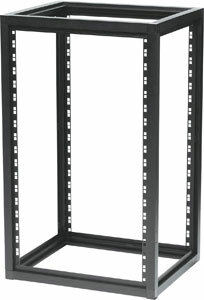 Rack frames: These extruded aluminium rack frames are finished in Black to match most equipment. Equipment can be mounted from the front or rear as all uprights are fully punched. Matching panel sets are also available separately (Comprising of 2 sides & a top panel). Provision has been made for optional castors to simply snap-fit if required. This makes it very simple to move the rack. Rack Frame Doors: Matching doors are available constructed from folded steel with or without a clear perspex panel. 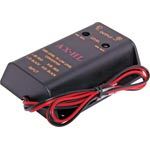 All models are provided with two key locks except the 9U models which are provided with a single key lock. Assembly: Each rack frame is supplied complete with 12 custom extruded aluminium sections and 8 ABS corner connector pieces. The sections and corner pieces simply push-fit together. A rubber or wooden mallet is recommended to fit together the self aligning pieces. Further strength can be obtained by pop rivetting the various overlapping extruded sections if desired. 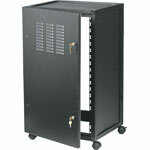 Rack doors are fixed to the rack frame by using pop rivets or screws. Installation of the handles and locks is a simple procedure and installation instructions are supplied. 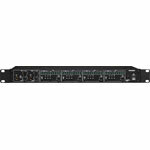 The Altronics 19 inch rack system range is designed and manufactured locally. 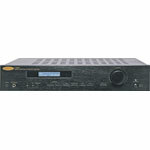 For 30+ years Altronics has provided quality locally made racking systems for professional audio and communications use. Support local manufacturing and buy Australian! 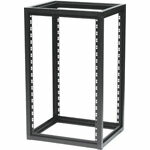 Can you please provide dimensions of the H5412A rack with castors?